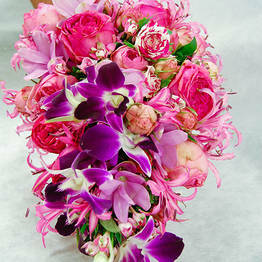 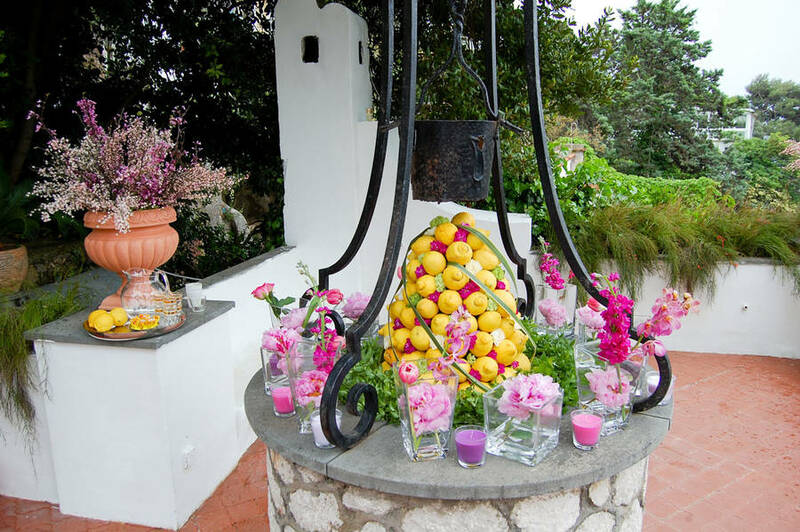 Capri Flor is the result of the Ruggiero family's lasting love affair with gardening. 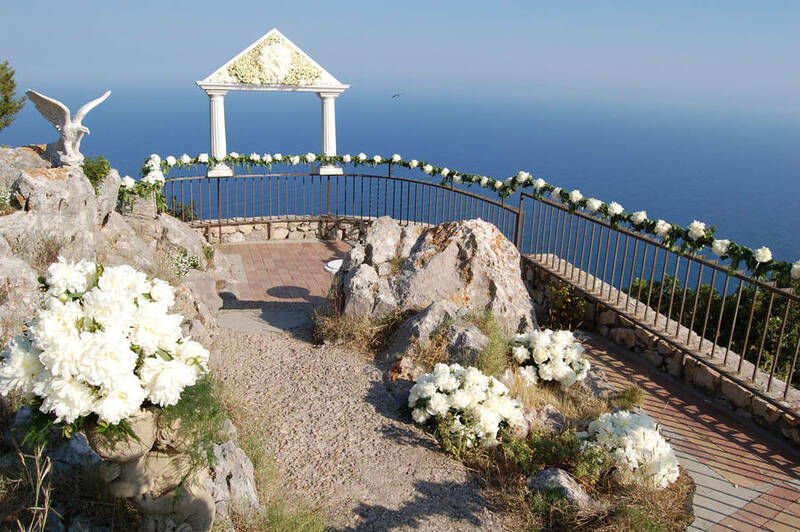 Since the early 1900's, and in collaboration with such eminent island residents as Malaparte, Krupp and Cerio, the Ruggiero family has been involved in the realisation of some of Capri's most important gardens: the Gardens of Augustus, the gardens of Villa Fersen, home of the eccentric Baron Jacques Fersen, and those of Villa Andrea. 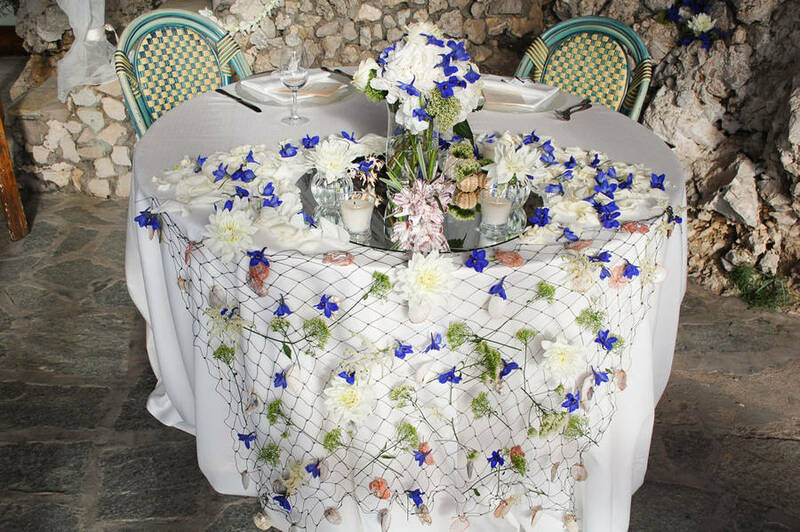 Today's Capri Flor is run by the third generation of the family, who have inherited their predecessors undying passion for the flowers and plants of the Mediterranean. 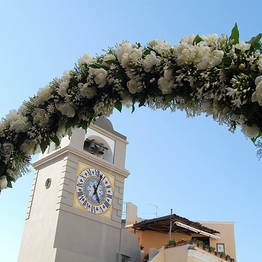 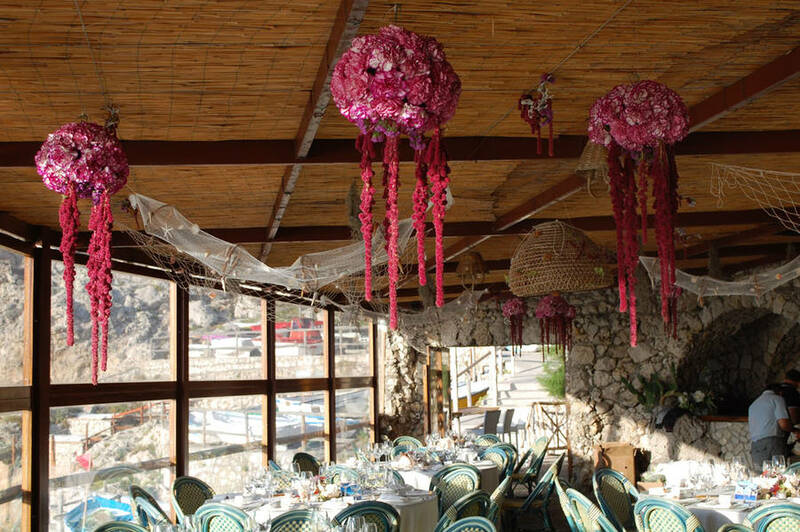 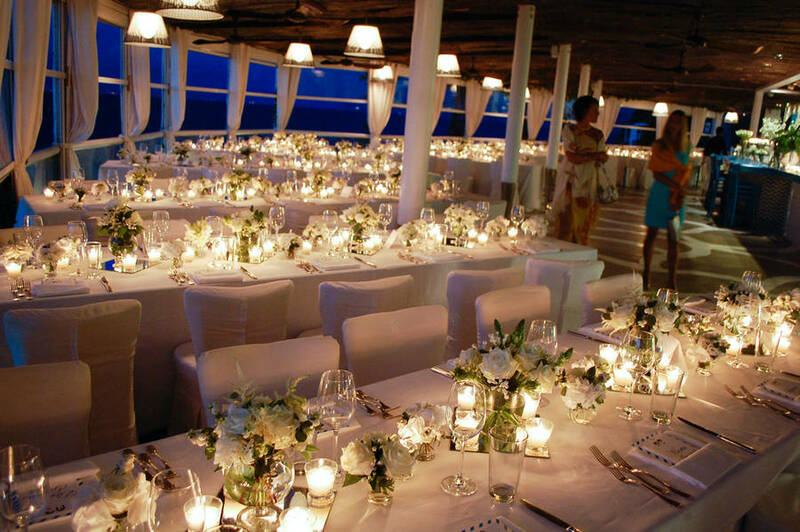 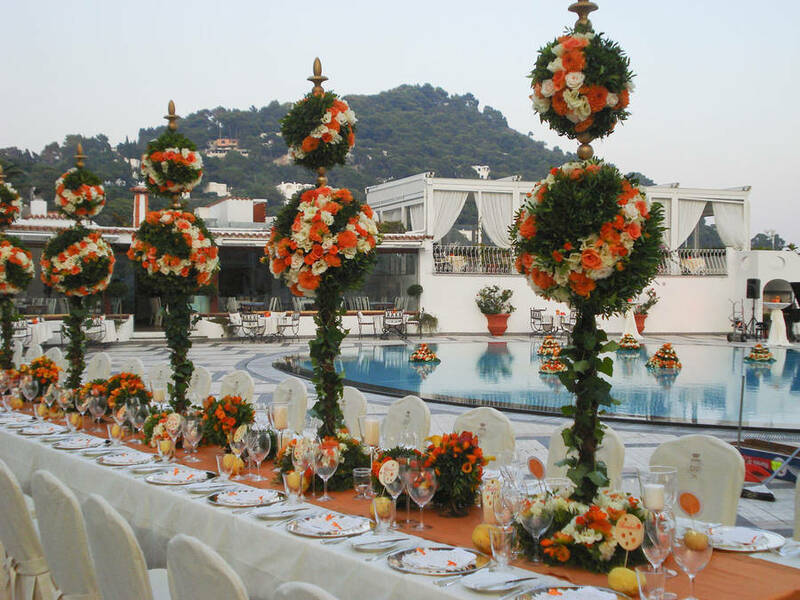 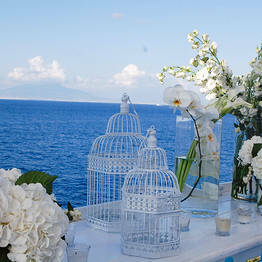 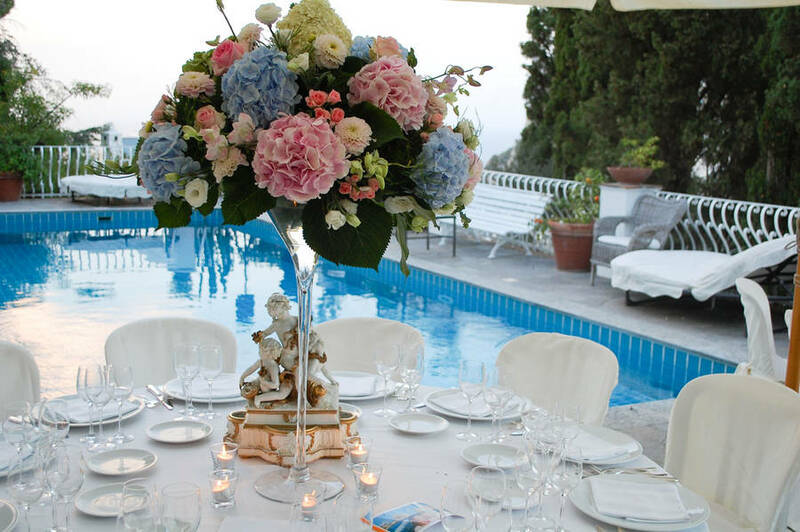 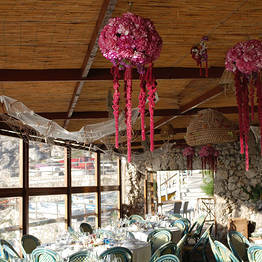 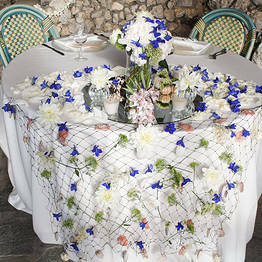 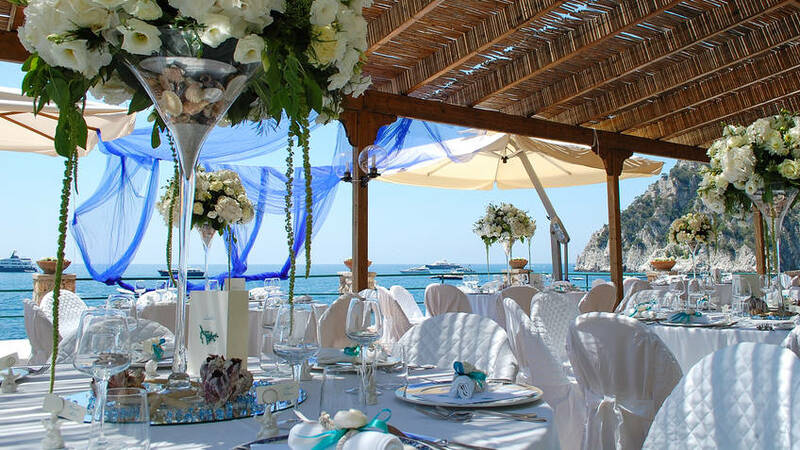 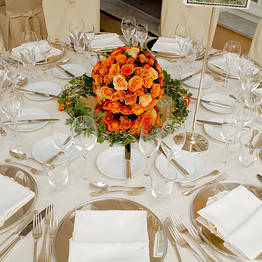 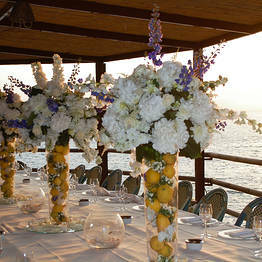 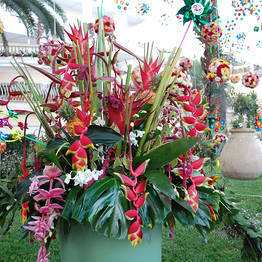 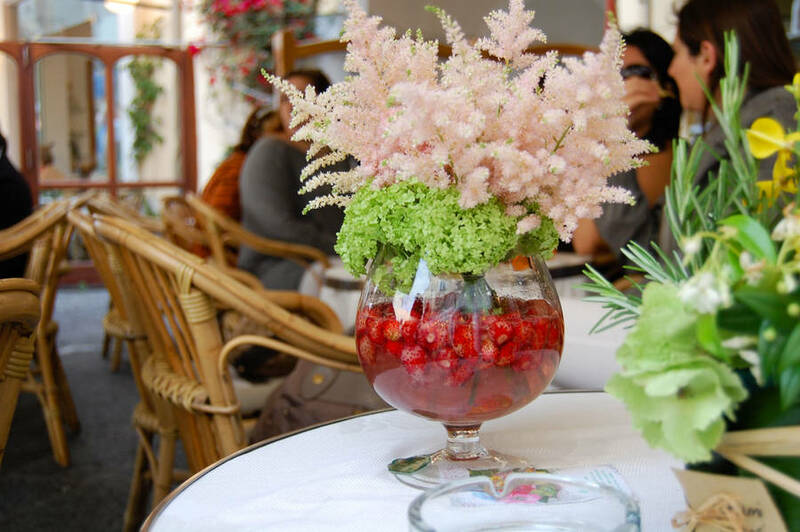 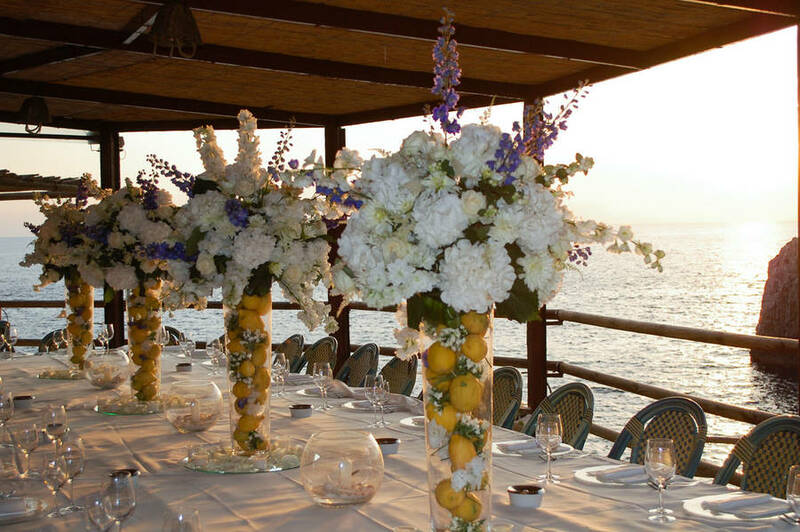 Capri Flor is responsible for the exquisite floral decorations which embellish great many of the island's most important events: from high profile gala dinners to exclusive private parties. 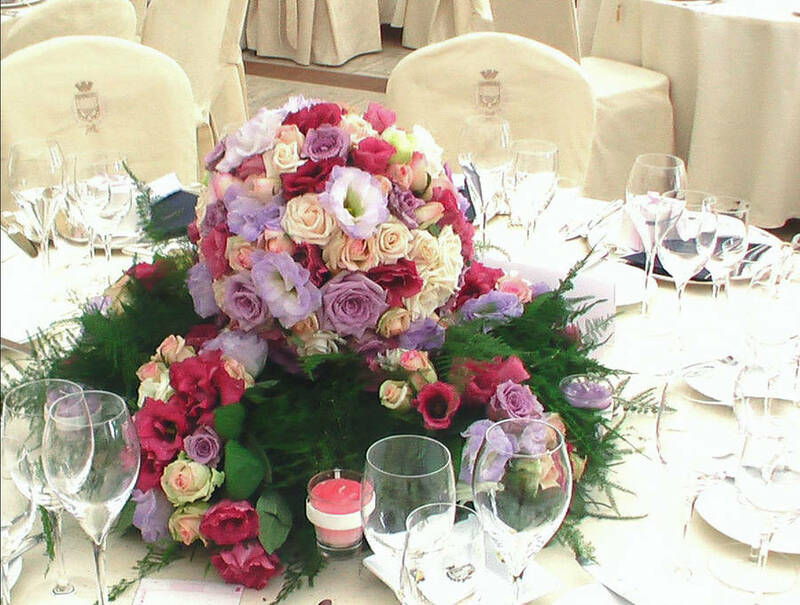 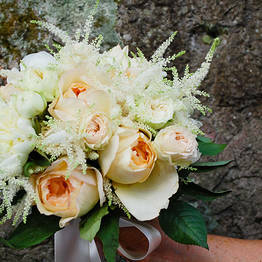 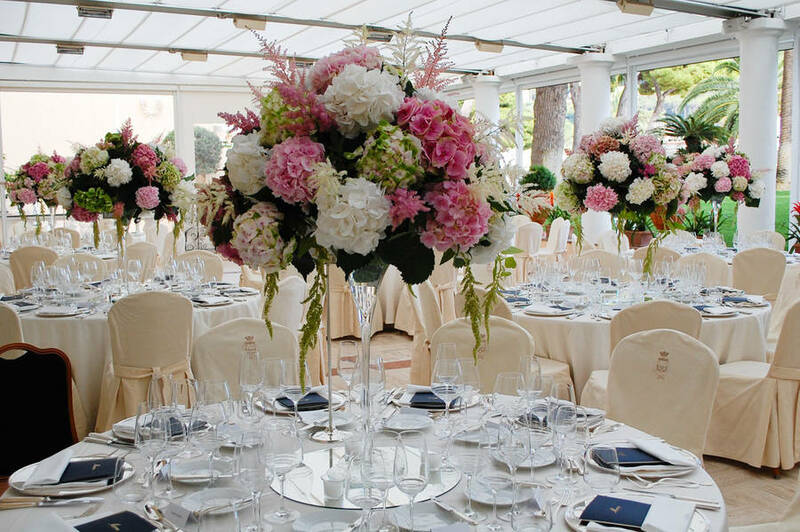 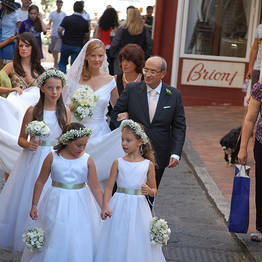 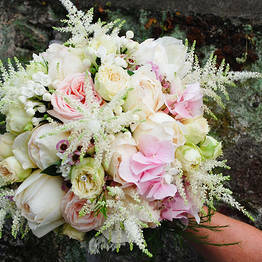 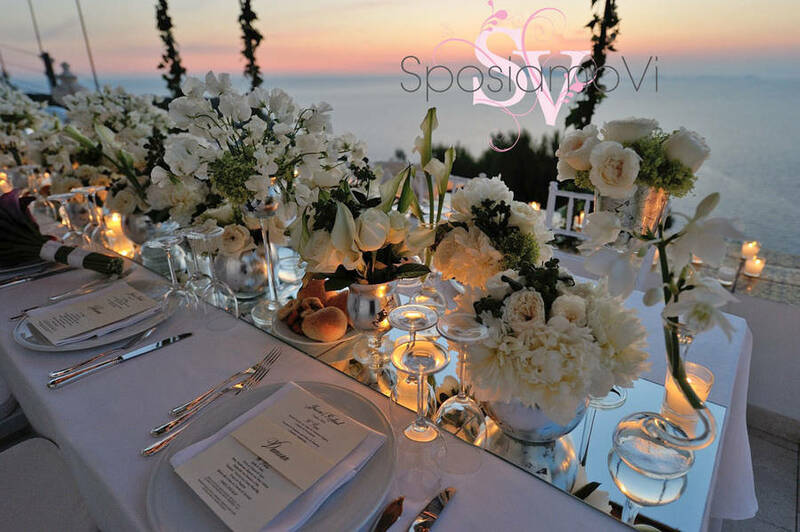 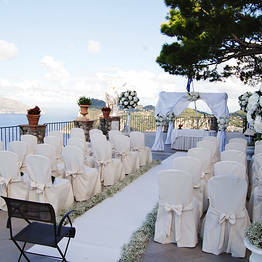 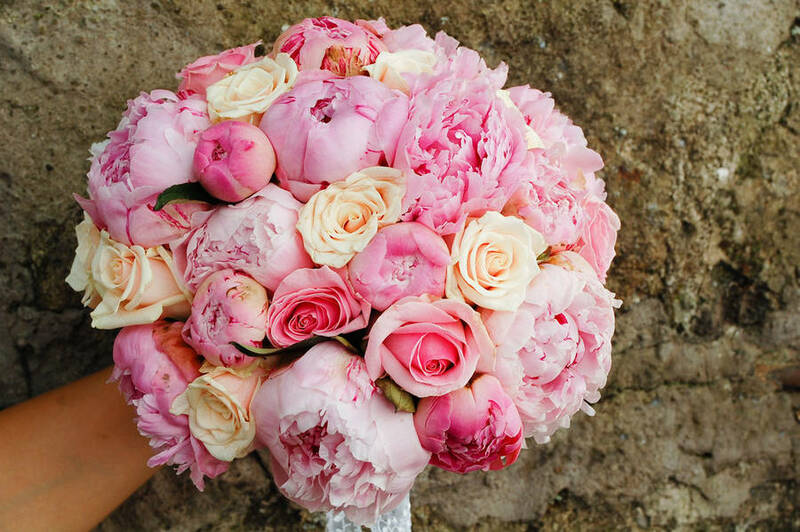 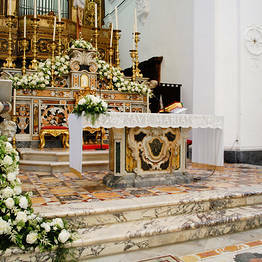 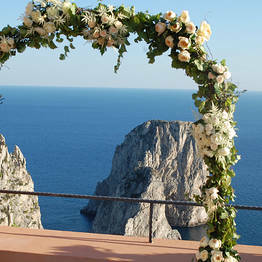 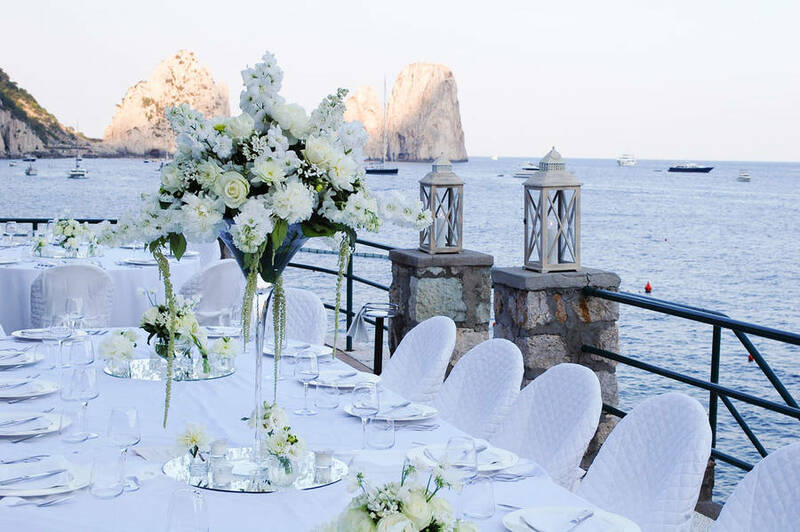 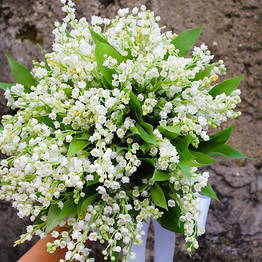 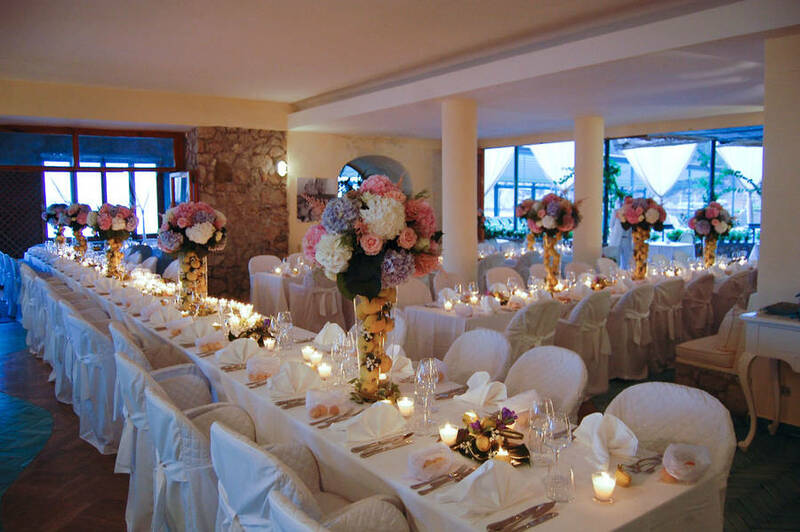 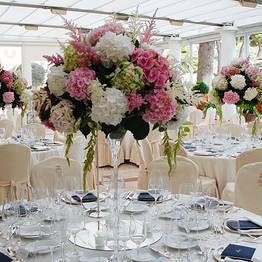 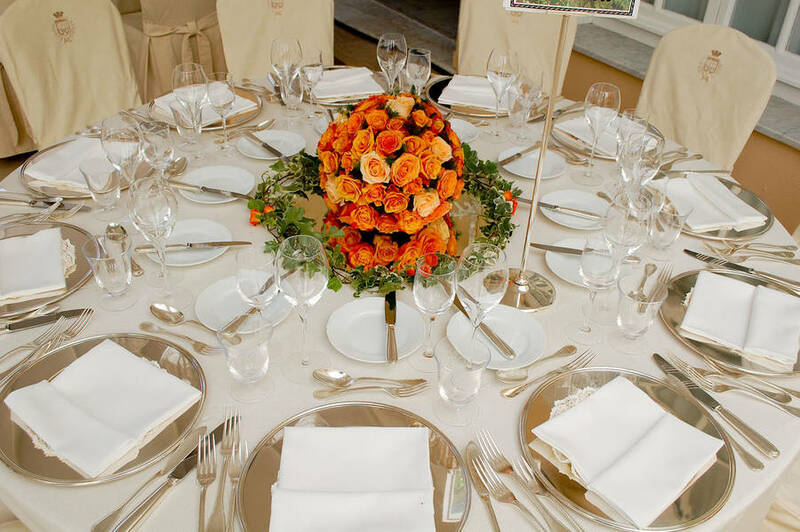 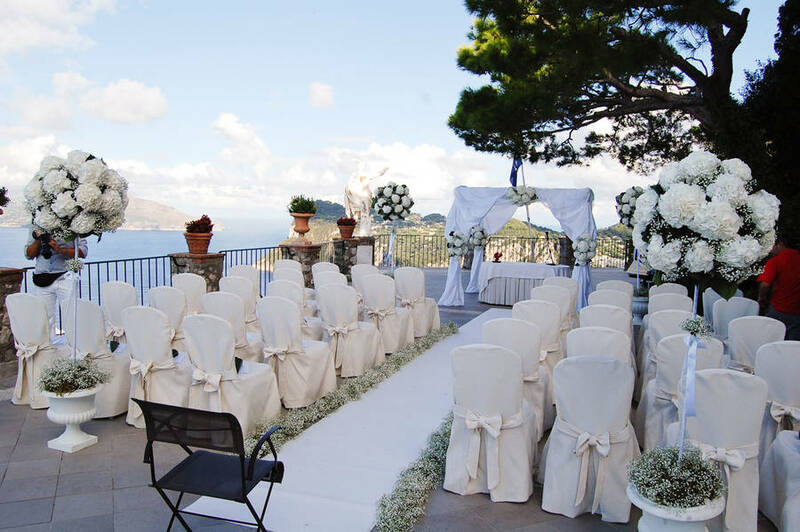 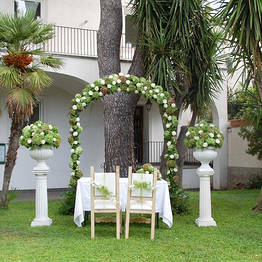 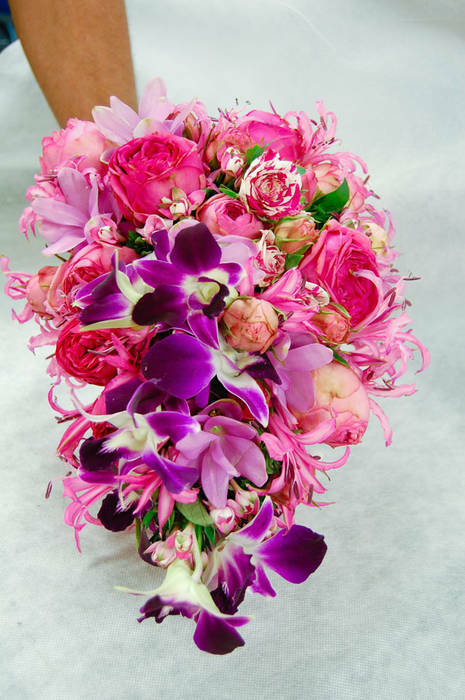 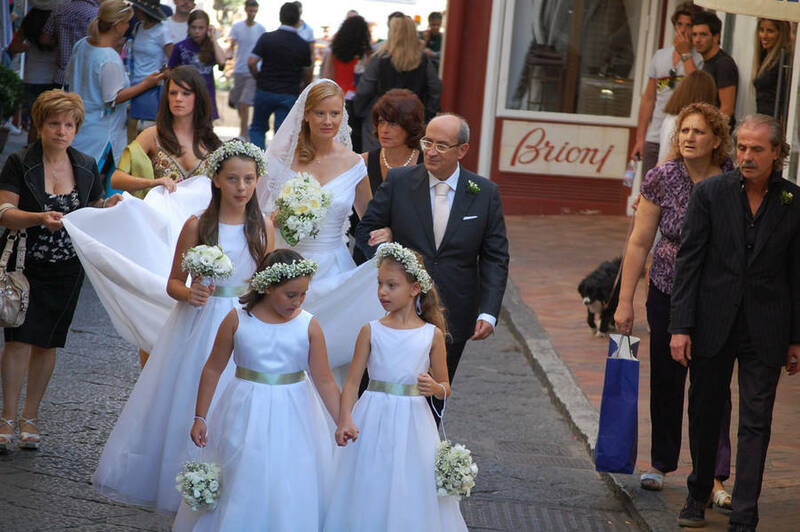 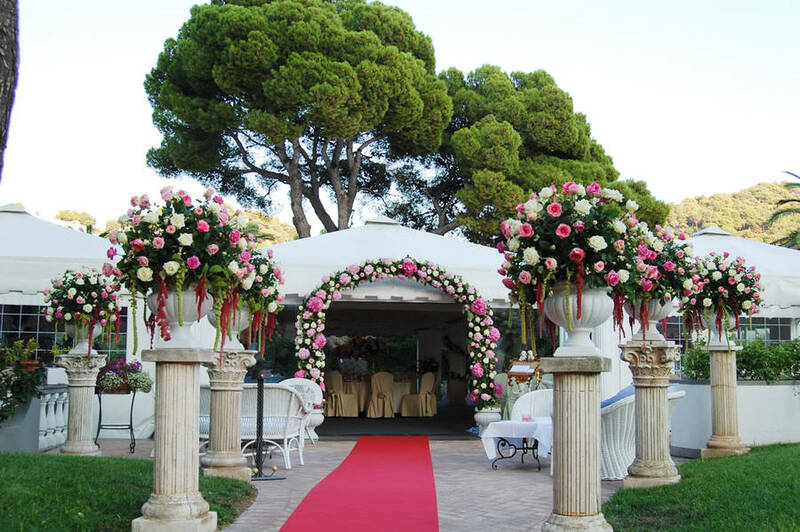 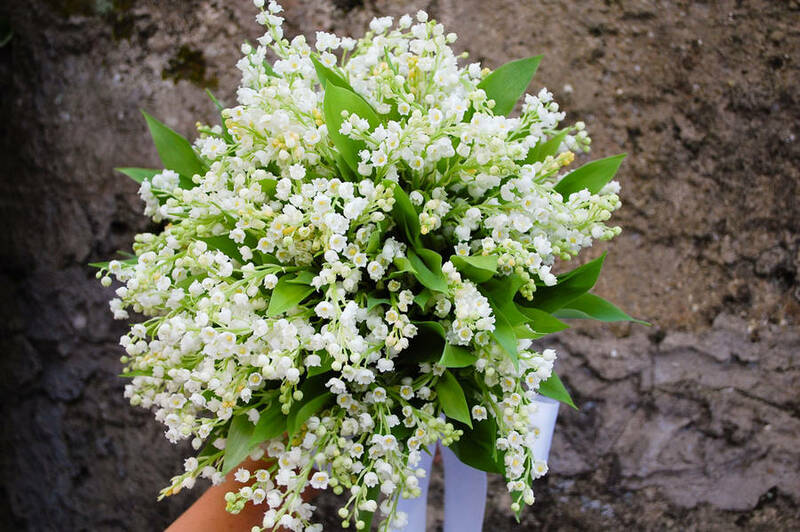 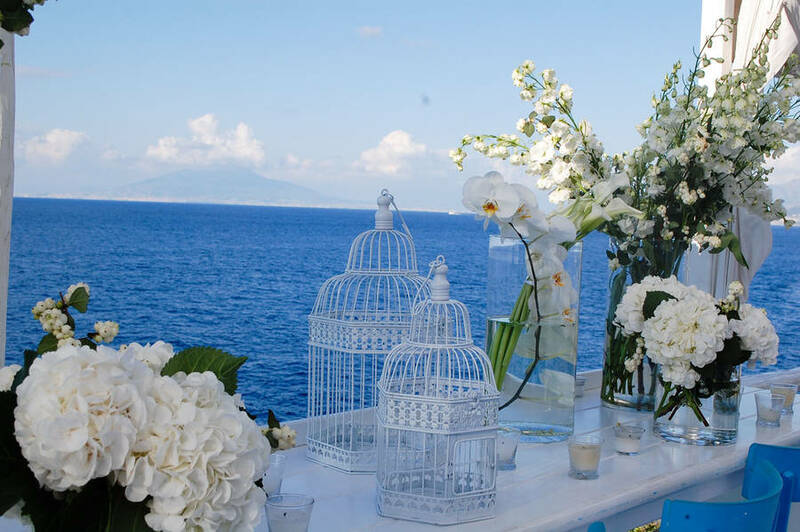 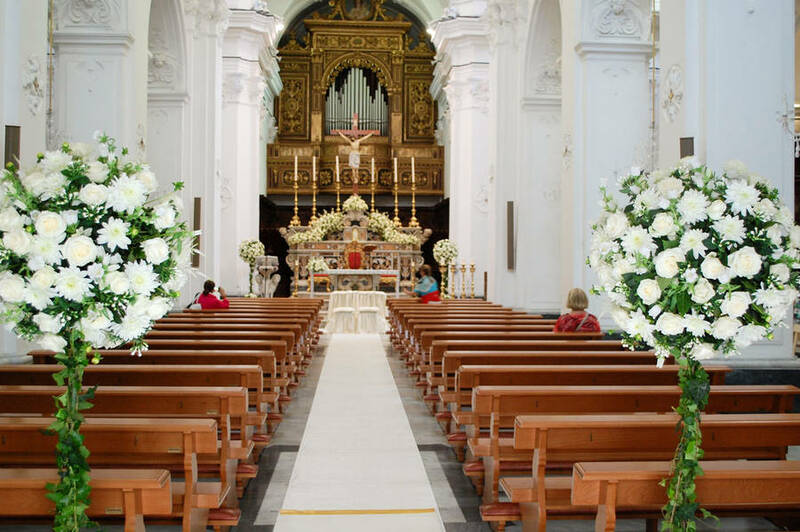 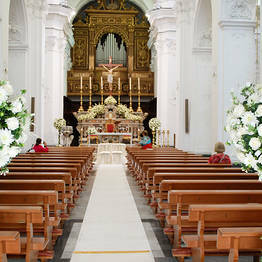 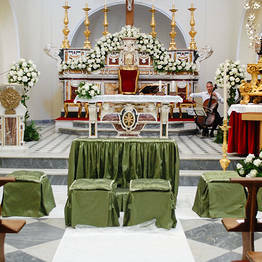 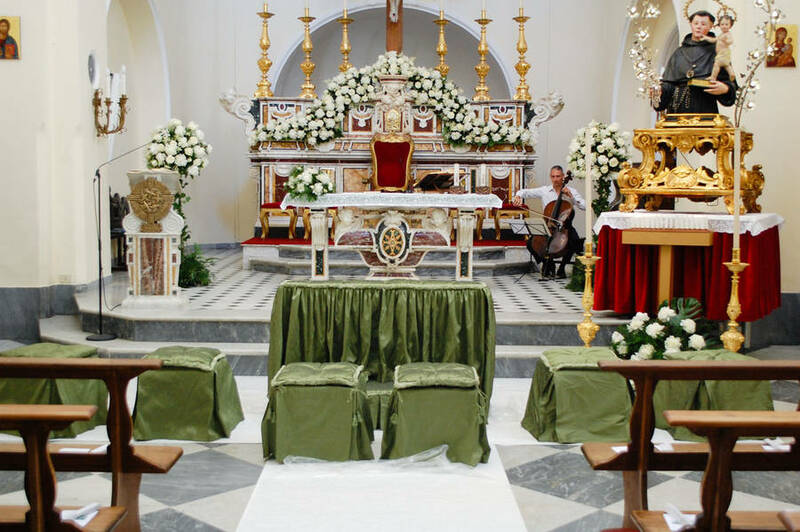 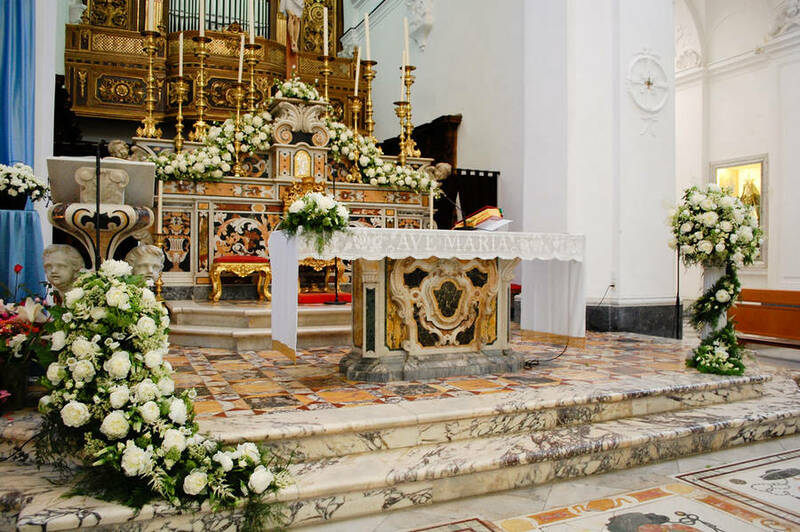 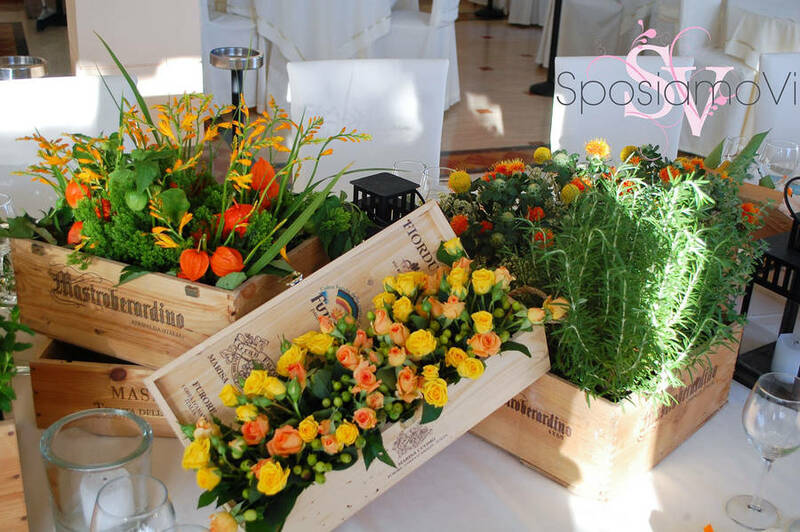 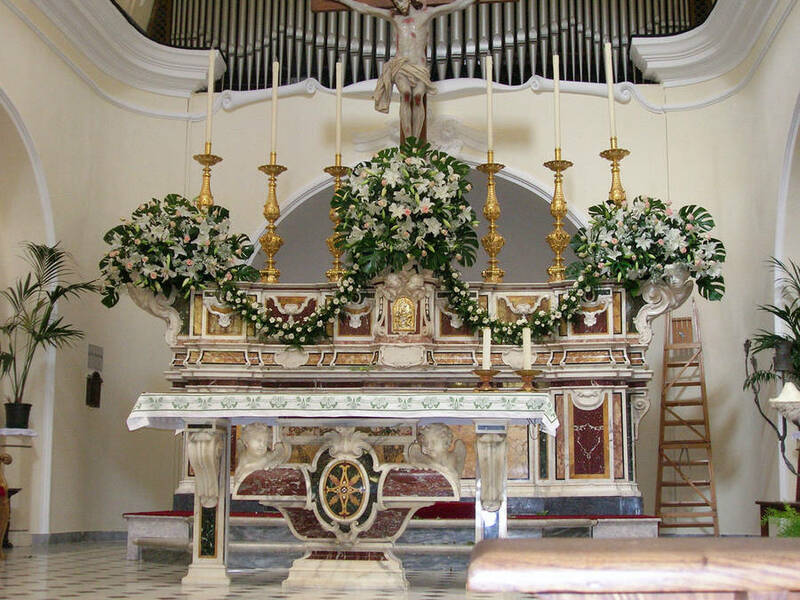 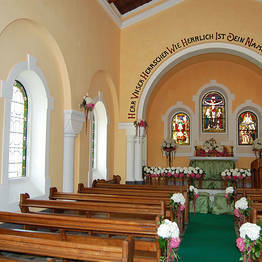 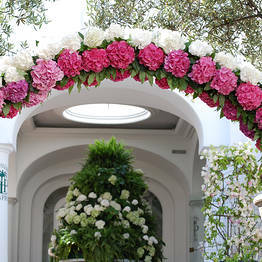 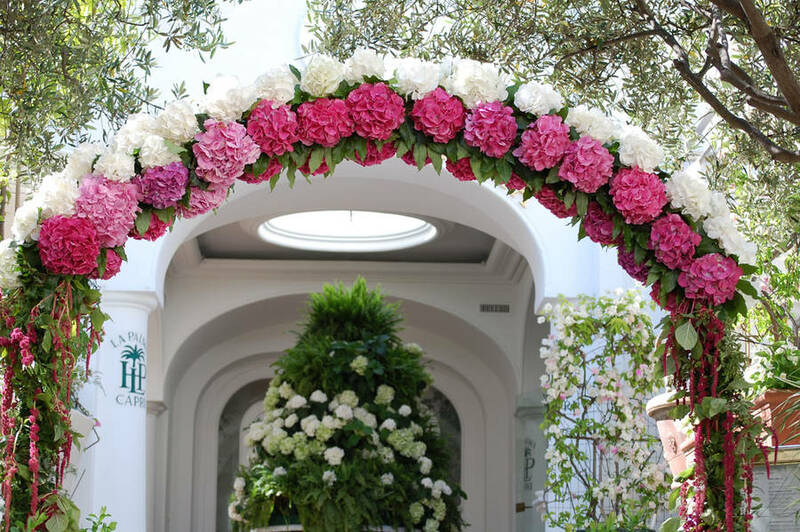 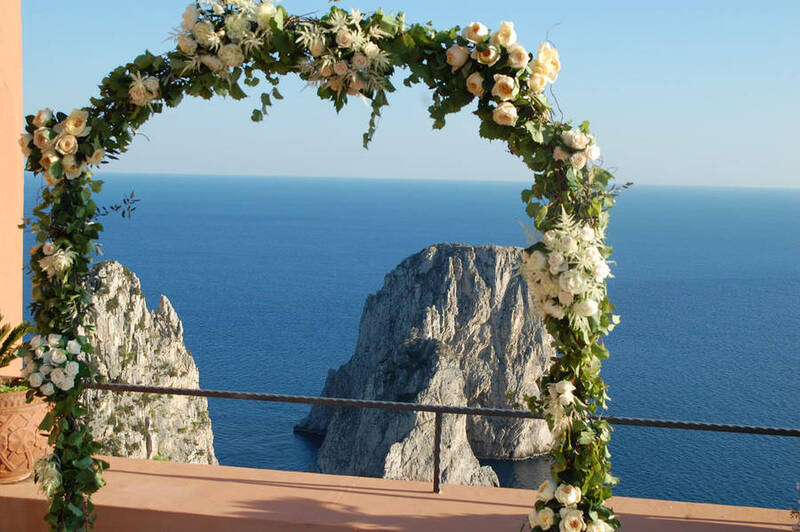 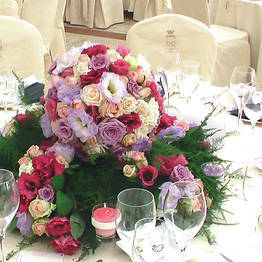 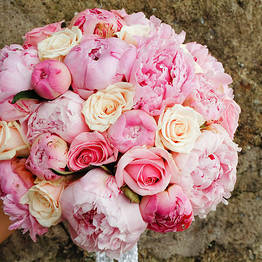 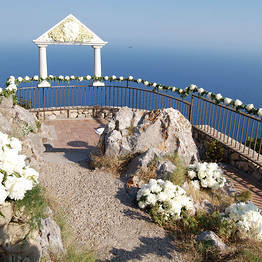 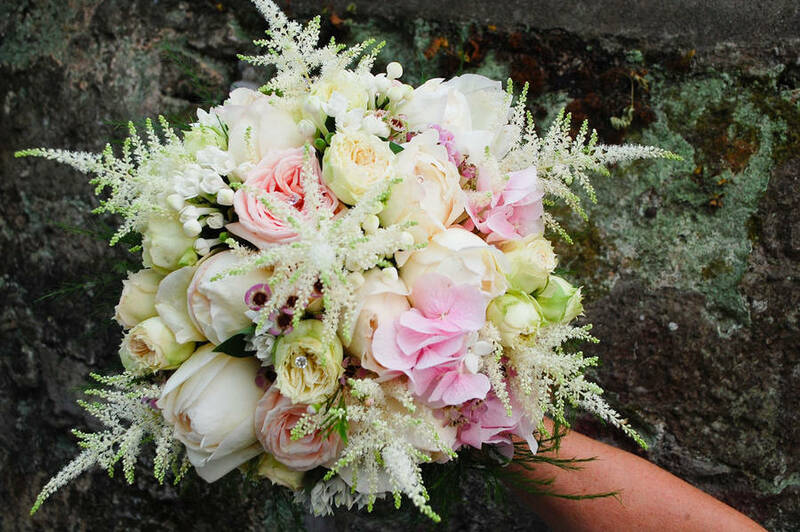 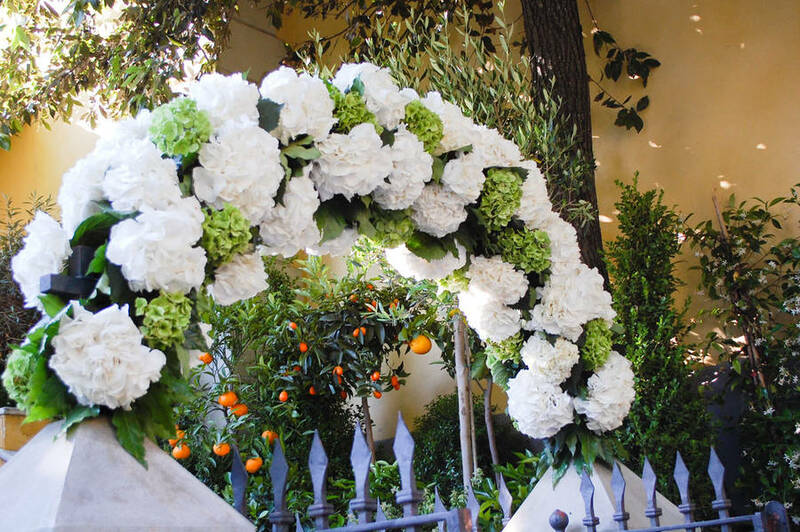 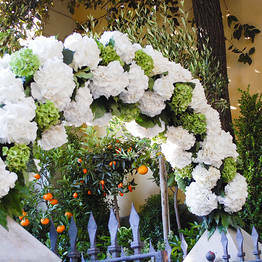 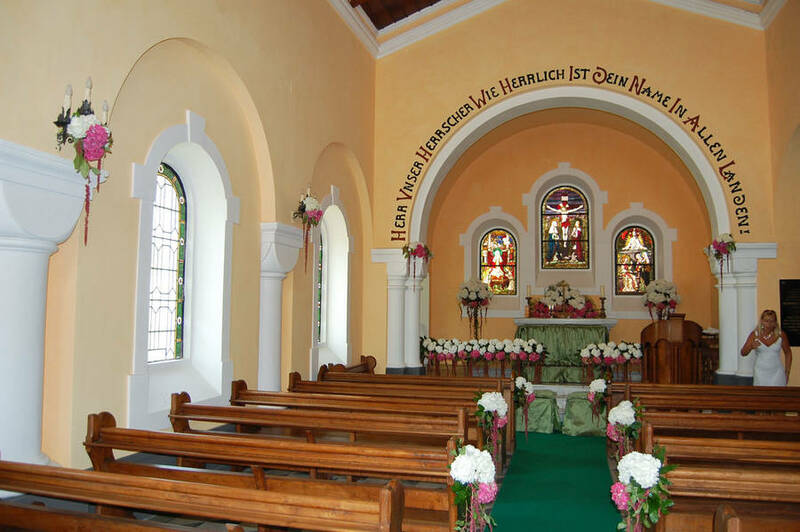 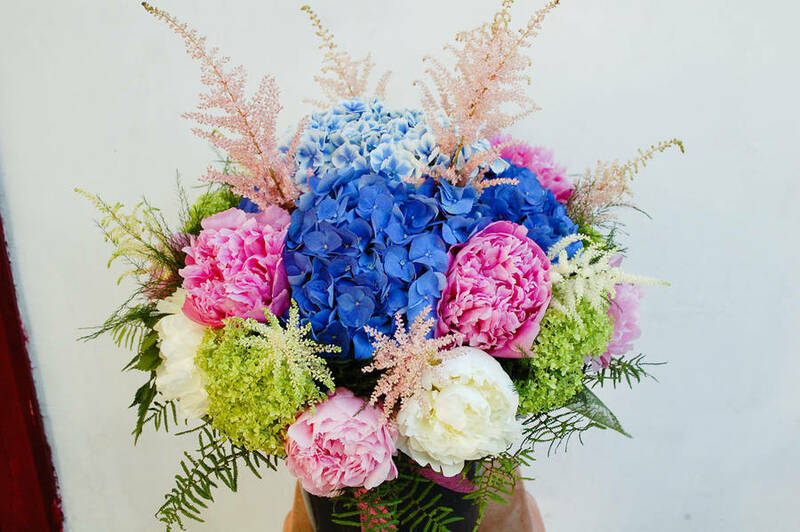 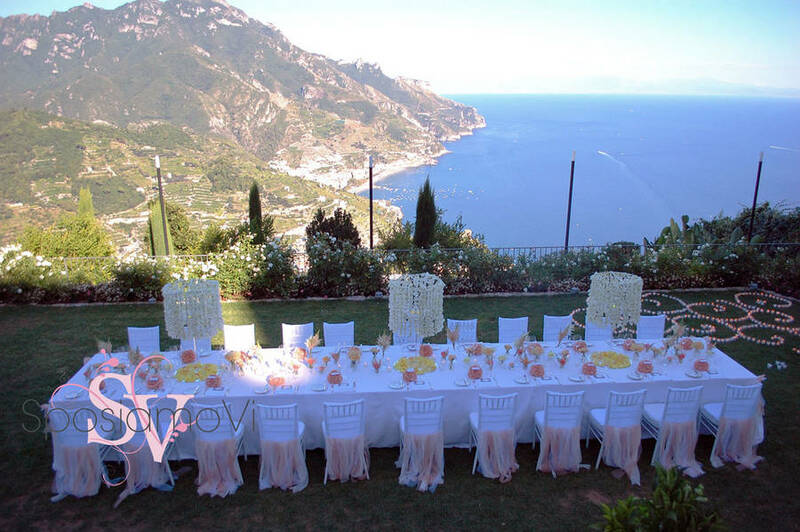 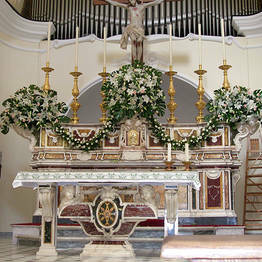 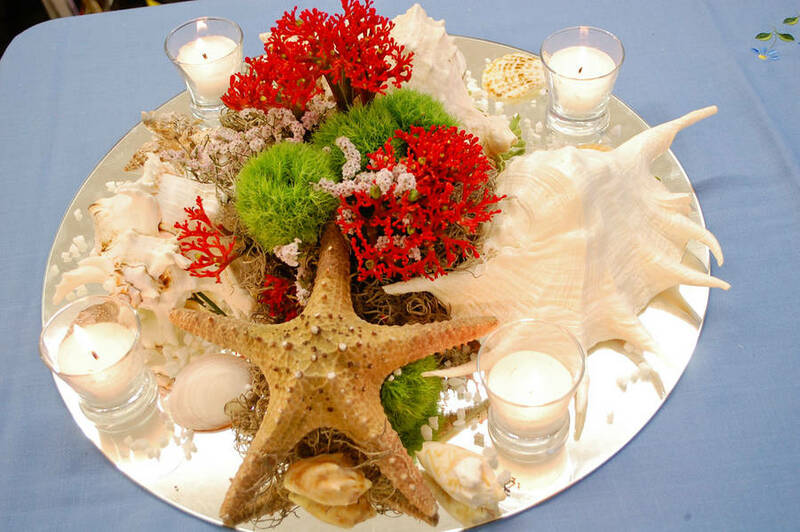 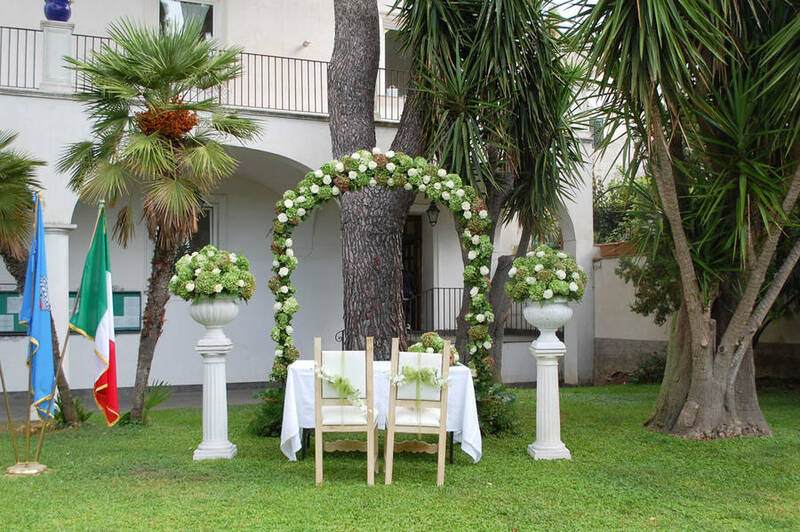 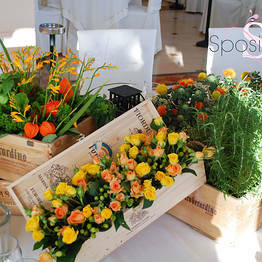 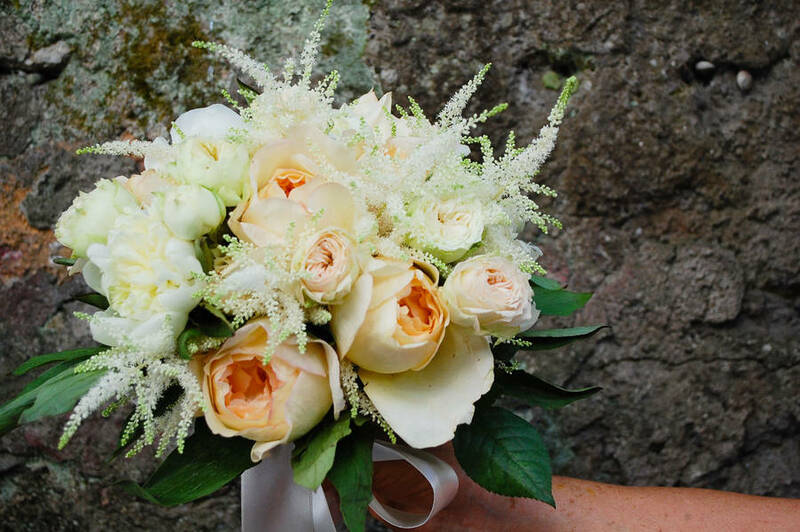 In collaboration with Garini della Sforzesca wedding planners, Capri Flor also designs elegant flower arrangements for weddings, from bespoke bridal bouquets to romantic floral decorations for both the church service and wedding reception. 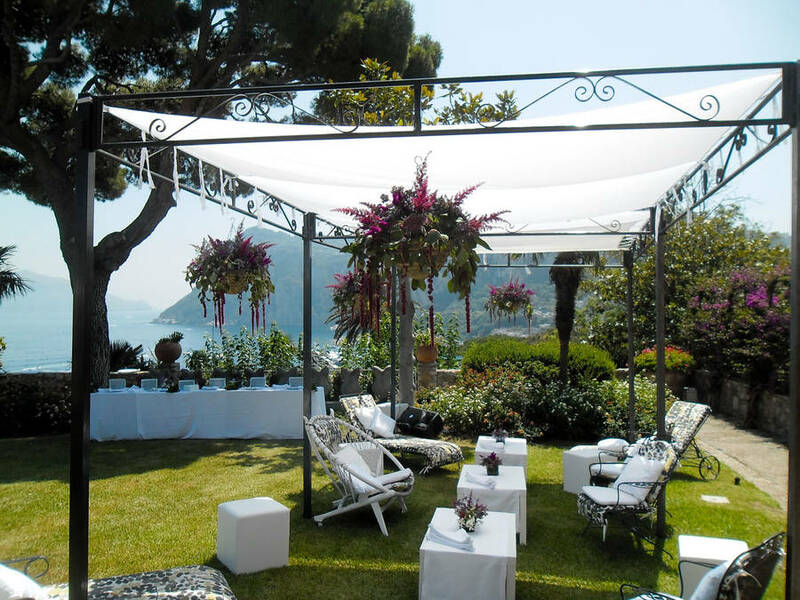 With over a century's experience in the gardening industry, it is no surprise that Capri Flor is the island's leader when it comes to the design, realisation, and maintenance of both public and private gardens. 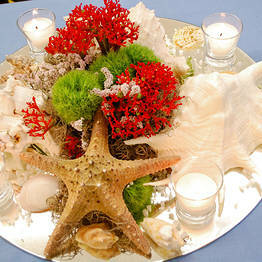 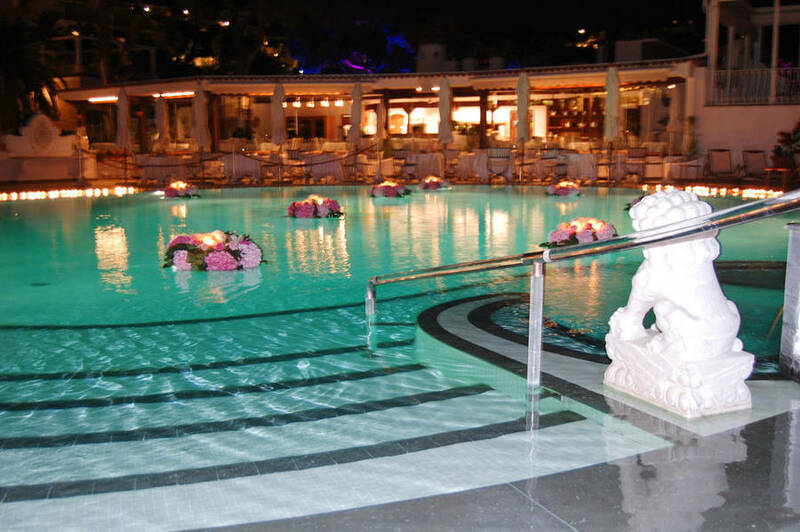 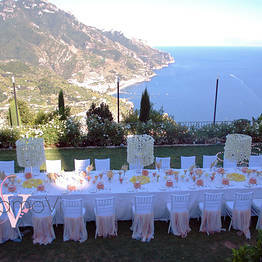 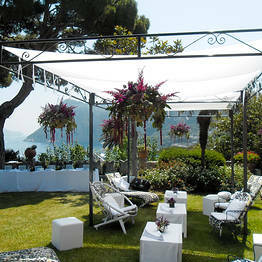 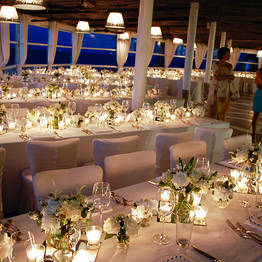 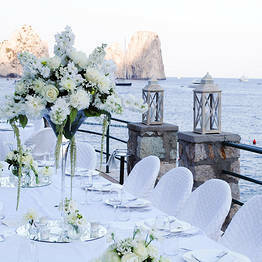 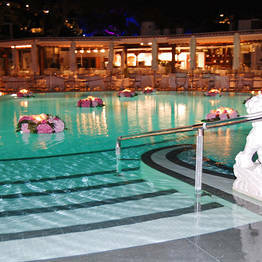 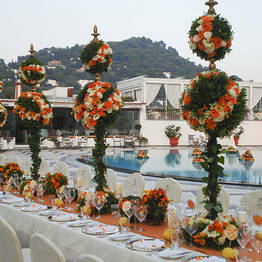 A great number of Capri's most prestigious hotels feature on the list of Capri Flor's most faithful customers. 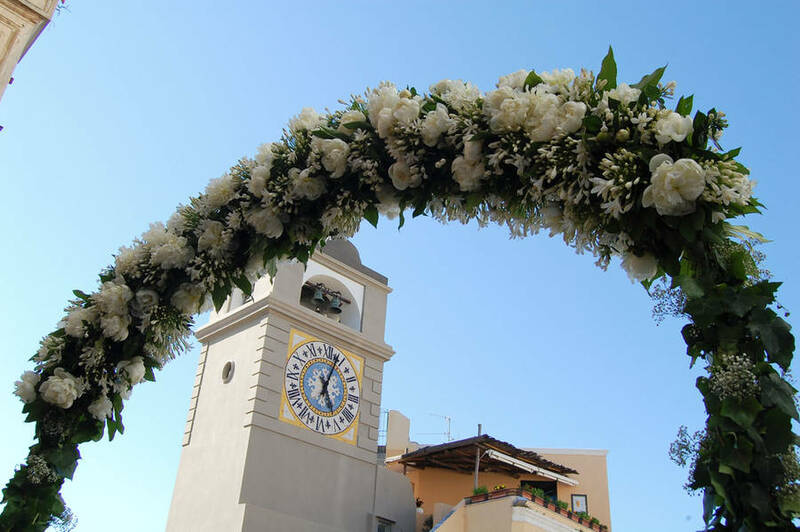 Capri Flor also has a small shop, at the start of Via Tragara, just moments away from the center of Capri, selling beautiful cut flowers and a stunning variety of Mediterranean and subtropical plants, including more than 50 colours of hibiscus and 30 types of bougainvillea. 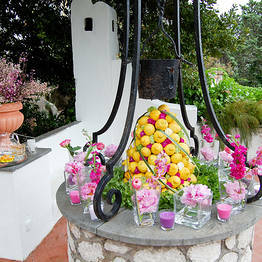 Capri Flor also stocks a wide range of amphorae and vases in traditional terracotta, glass, and Perspex. 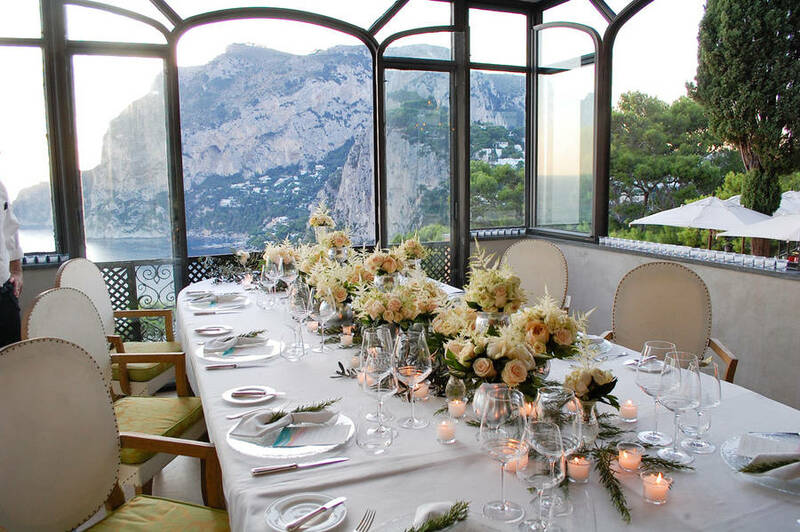 Capri Flor is situated at the start of Via Tragara, the picturesque pathway which links the center of Capri with the Belvedere overlooking the island's legendary Faraglioni rocks. 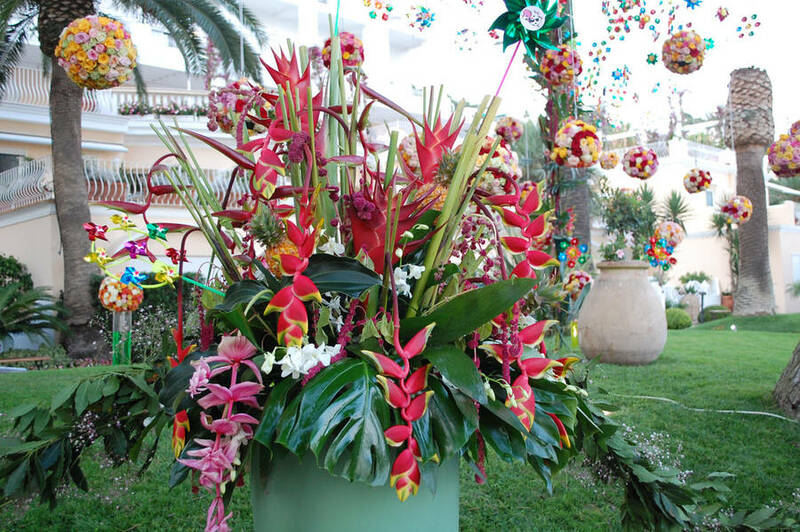 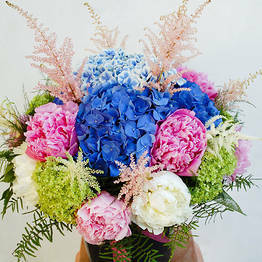 The florist shop sells a stunning variety of flowers and plants as well as gardening utensils, and traditional terracotta amphorae and vases. 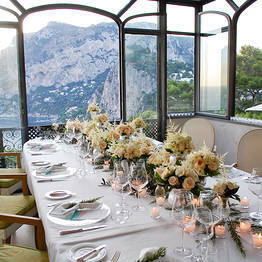 Beauty services on demand for a stylish look on Capri!